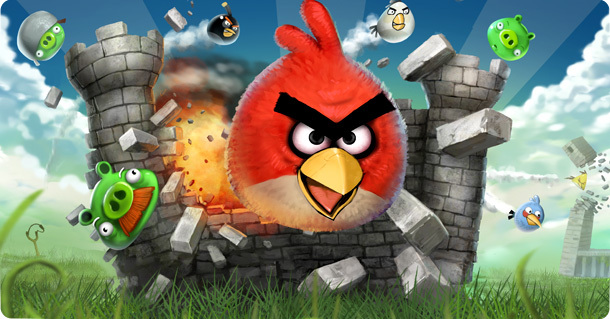 Get your catapults ready, AngryBirds webOS is imminent! I posted a while back about RovioMobile saying that they were considering porting their app to our beloved platform. Well today, me and my mucker @benfysh on twitter came at the dev like a two pronged attack and Mr AngryBirds confirmed that the hold up has been due to issues with the game on the Pixi, which need ironing out. Of course, I gave the dev a gentle nudge to say I had no problem with him pushing the Pre release out and releasing the Pixi version at a later date He also confirmed that the webOS version will be receiving the newest level packs 2 and 3, and will be updating all his mobile versions in-line with one another! 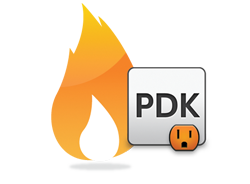 PDK Hot apps begins July 15th – but where is webOS 1.4.5? With the impending PDK (Plugin Development Kit) Hot Apps Program almost ready to roll in a couple of days, and what with the program already being pushed back from originally pinned date of July 1st, you’re certainly left wondering where the latest webOS firmware update is that was supposed to hit all Palm Pre’s and Pixi’s via an OTA update well over a week ago. For those not in the know, the 1.4.5 update is to bring PDK gaming to the Pixi and also finally allow independent developers to get their mitts on the SDK/PDK. However, following the roll-out of 1.4.5 in some parts of Europe, a bug was discovered, in that the PDK wasn’t properly ‘jailing’ the applications. Basically ‘jailing’ the applications is an essential and deliberate measure to protect the whole OS’s security over the apps having control of certain unauthorised parts of the OS. (If you’re interested to read more about this bug then follow the geek trail over to this thread on the Palm Developer Forums). Of course, what seems have happened is Palm pulled the plug on the OTA update and have been busy squirrelling away fixing it. But what with the PDK Hot Apps program kicking off so soon, I think we’ll certainly be seeing 1.4.5 (or what is rumoured to be 1.4.5.1) pushed to our devices very, very soon! I don’t know about you guys, but I am very excited about seeing a big roll-out of ported apps thanks to the PDK. The future definitely looks bright for webOS in my eyes. As as side, yet very important note for those keen homebrewers (like me), please make sure you check out this thread over on PreCentral which explains about some patches that must be removed prior to the update. We’re a bit behind on this one, but in case you haven’t heard, webOS 1.4.5 is coming real soon. The big news for Palm Pixi owners will be the ability to play PDK (Plug-in Development Kit) games, so now you’ll have access to all the great 3D games that were previously available only for the Palm Pre and Palm Pre Plus. We expect a steady flow of PDK games hitting the App Catalgo when the second Hot Apps contest launches July 1st. Carrier testing for webOS 1.4.5 is almost finished, with one carrier needing a minor bug fix. AT&T is reportedly pushing back on releasing the update so soon after the launch of webOS devices on their network. To us, this makes absolutely no sense. The beauty of webOS is the ability to push OTA (over-the-air) updates that result in a more stable phone and often new features. If you purchased a Palm Pixi Plus from AT&T, then you’ll want this update for the 3D gaming. The new release of webOS will be the last major update before a major update in the fall. Palm’s Hot Apps contest ends on June 30th and the fun begins again for developers starting on the following day. Yes, Palm is once again putting up some hard, cold cash for hot apps to the tune of $1 million dollars. This time around it’s exclusively for PDK apps, so you can expect to see an influx of games coming to the App Catalog. The contest runs through August 31st. Developers can read up about it at Palm’s Developer Portal. Want to see who’s winning the hearts, minds and wallets of webOS customers? Check out Palm’s Hot Apps Leaderboard. Not that we’ve got any issue with Palm’s browser, but here’s an interesting development. 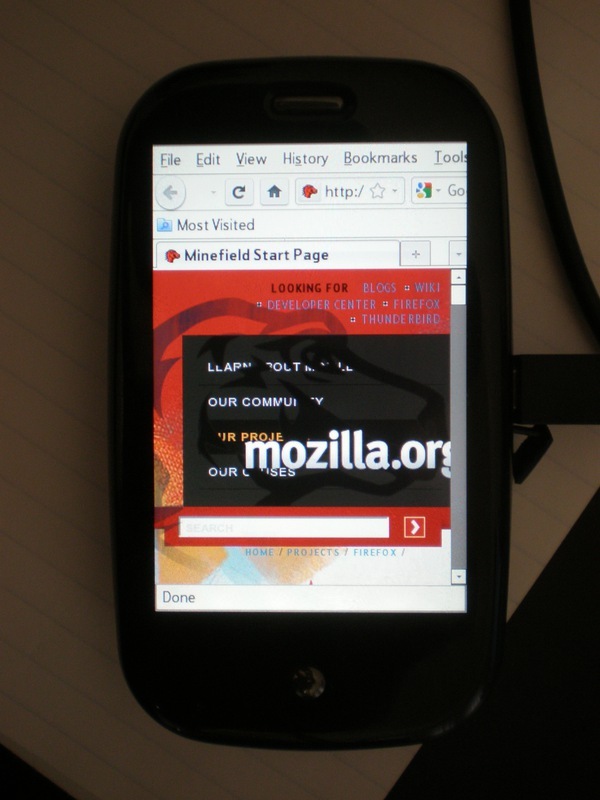 One enterprising developer is using Palm’s PDK to port Firefox to webOS.